Come join me for DigiStamps4Joy's newest challenge, Challenge #91 - Water Everywhere! I used a fishing theme by a lake with mine. 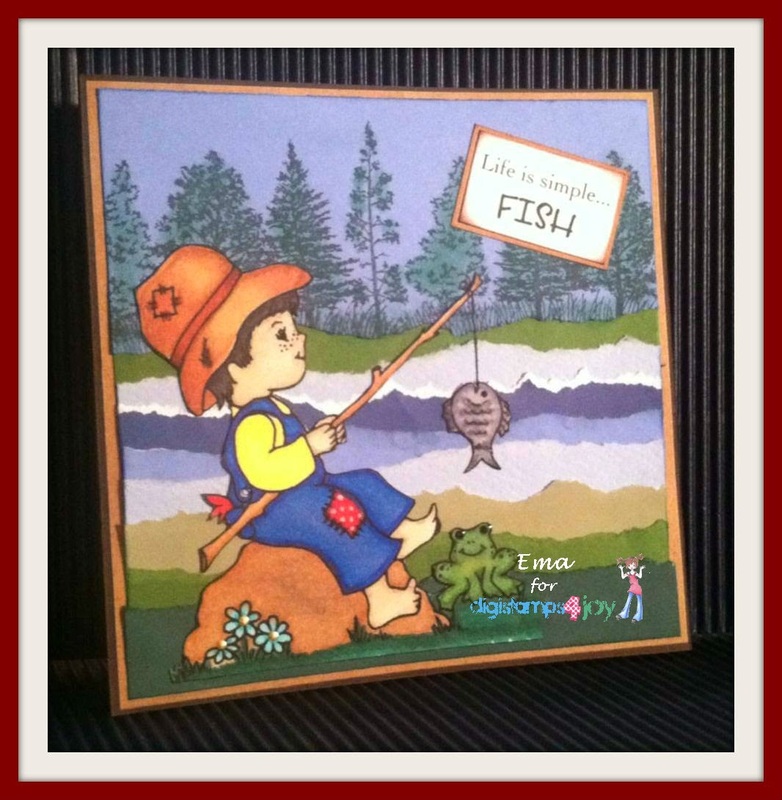 I love to make fishing cards. Not sure why? 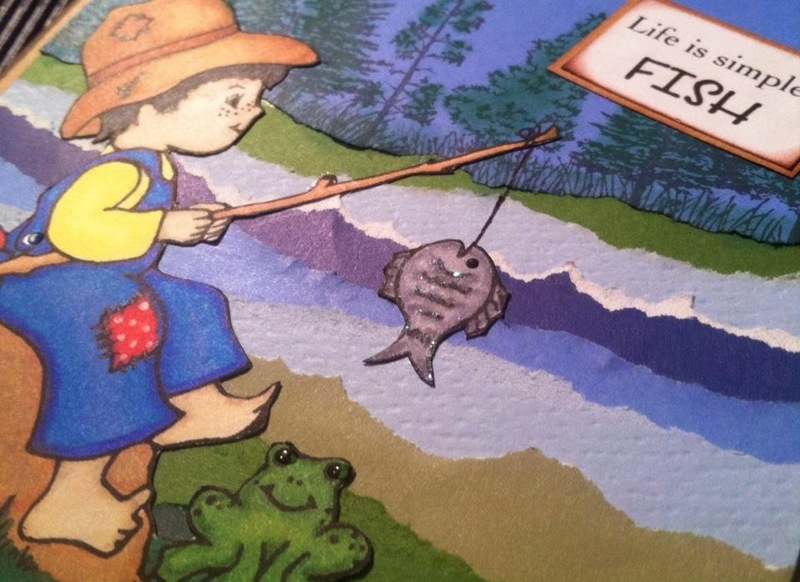 I have only one brother who likes to fish and he may very well be tired of all the fishing cards I'm always giving him. I should meet a man who loves to fish. That way I can give him the cards... I already know of a sentiment I can use... You've got me hook, line and sinker! lol OK, but that's a story for another post! 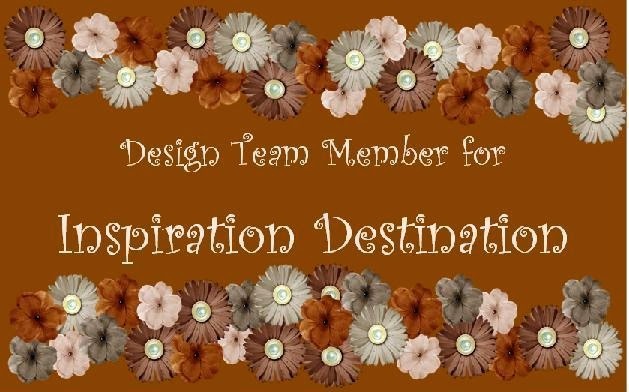 Be sure to pop on over to the DigiStamps4Joy challenge blog and have a look see at what my teammates have come up with. There's lots of great stuff to look at. Sweet card!!! Thanks so much for participating in our EAST WIND challenge!! Hope to see you again for our next challenge!! What a darling card!!! So cute. Nice coloring. Just started following you.